Where does my IBC stand, why and for how long? We deliver the answers! Cleaning and refilling IBCs is an environmentally friendly and cost-effective alternative to the repeated purchase of new containers. However, manufacturers of IBCs, maintenance companies, users and their customers have limited information about where the IBCs are and when cleaning is required. This results in unnecessarily long downtimes and an inefficient, expensive process. We accompany you step by step in the development of new service processes and optimized resource planning. 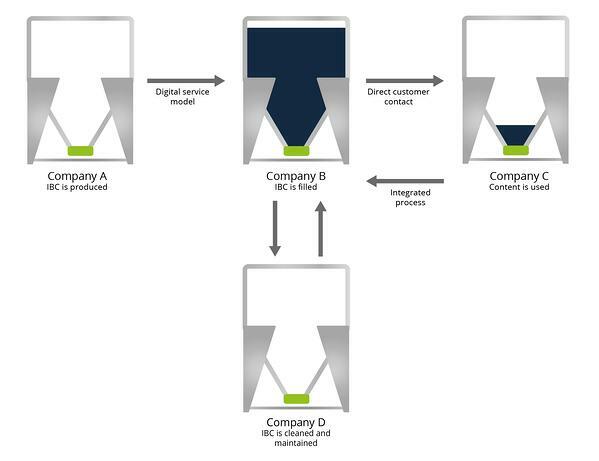 How economical is a digitisation initiative of your IBC? Purchase price, cleaning costs, turnaround rate: Is it worth converting to IoT capability? Could the fleet size of your IBC even be reduced? Work it out! Enter your figures and do the profitability analysis! Note: If you reduce your fleet size, your fixed assets (without depreciation) can be reduced accordingly. The turnaround is the cycle that the IBC goes through from start to end point (empty state to empty state). For example, the container builder passes the IBC on to a producer of paints who fills the container. However, the benefit for the manufacturer is not yet exhausted with the one-off transaction. By renting with the help of the service portal, further turnover can be generated with a container pool. The filled container is then passed on to the paint processing company. The portal makes it easier to address various customers and always ensures that facts form the basis for discussion, not speculation. The customer can also intervene in the process at the push of a button if the need arises. Examples can be an accident, but also if the container has been emptied earlier than the planned turnover. As soon as the contents of the container have been used up, a maintenance company carries out repairs and cleaning. Now the IBC can be refilled. 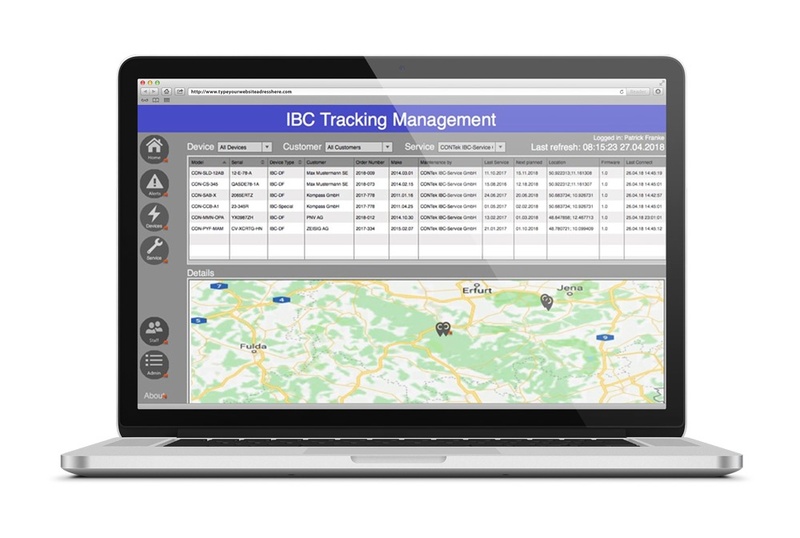 The object tracking of the IBC keeps all companies in the process in full control. This allows them to plan their resources better. Connection to the "Industrial Internet of Things (IIoT)" increases the number of turnarounds! You can find out how this works in practice in our white paper: "The IoT and IBC - Why tracking is the best solution for your company"
In our service portal, you can always find out where a container is currently located. This brings added value for all companies involved in the process. Monitoring creates transparency and increases efficiency. The current location of the IBC can be transmitted in real time. Increased utilization can be detected at an early stage. An optimized resource planning avoids long downtimes of the IBC in the disposition. No matter where your IBCs are, you always have an overview of your inventory and can track and analyze locations and times using current data and history. Empty IBCs are not waste. They can be reused after professional cleaning and maintenance. This significantly reduces the CO2 balance. GPS tracking facilitates this process. Thanks to proactive alerting, problems are detected early and can be reduced in number and impact. For example, an alarm is triggered when the ADR check is due or exceeded. This avoids high follow-up costs. Administrative tasks can easily be performed online. This way you can guarantee your customers more adherence to delivery dates and better service. 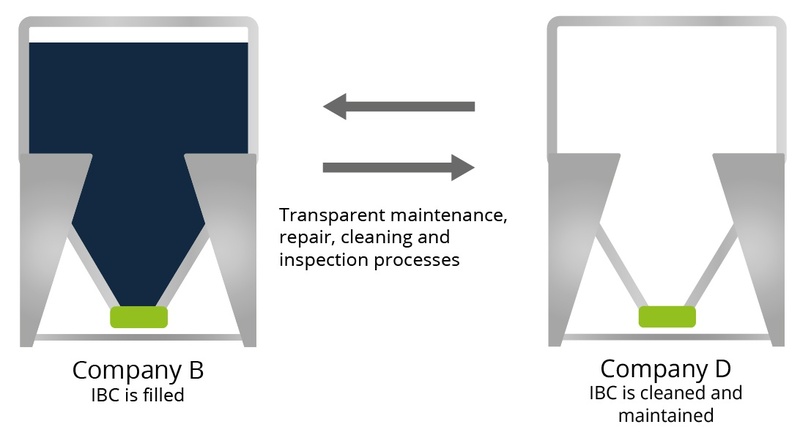 The user of the IBC, for example, triggers a maintenance order simply via the portal. What else can the service portal do for you? Rights management and historical data. 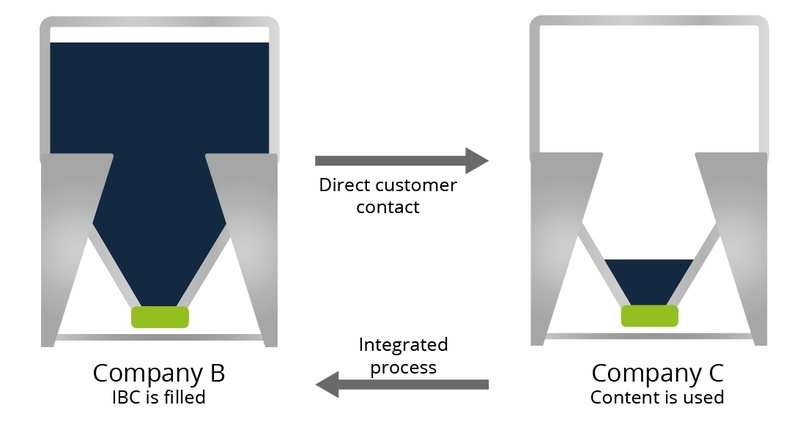 Business processes can be configured flexibly so that each company can only see one specific area. The end customer, for example, will only be able to see the containers that are in circulation. The service portal also stores additional information. Was there glue, paint or oil in the IBC? It is important to know this, for example, before refilling, for the service provider before cleaning, or also for rescue teams in the event of accidents. With the help of histories per container, it is also possible to trace which alarms (notes) were associated with this container and with which customers and service partners it was located. Simply make a non-binding inquiry. We will get back to you as soon as possible. In this conversation we will find out together which solutions are best suited for your company. 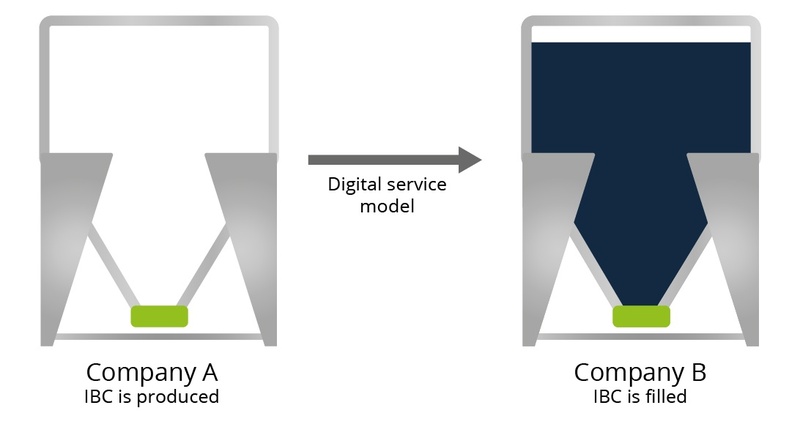 The service portal IBC.digital was developed in cooperation with Kompass GmbH.